How did Adolf Hitler manage to survive more than 40 assassination attempts--some by his own generals? Using captured SS documents and eyewitness interviews, this documentary series reveals the secrets of the elite bodyguards who swore loyalty oaths to the Führer himself. 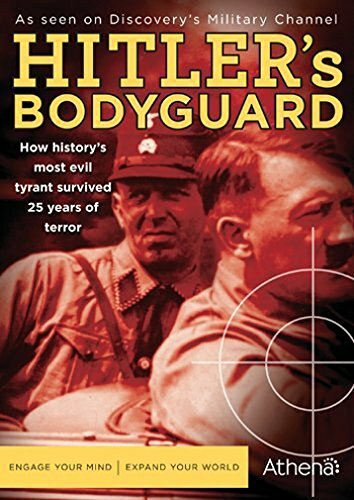 It explains how Hitler cultivated rivalries among his security services to ensure his safety, and how his purposefully unpredictable behavior saved his life several times. Carefully assembled archival footage offers rare glimpses inside Hitler’s infamous strongholds--the Berghof, the Wolf’s Lair, and the Berlin bunker. Computer-generated graphics detail the security measures used in his trains, planes, and touring cars. And meticulous re-enactments bring lost incidents to life. In 13 riveting episodes, this Military Channel favorite brings fresh, fascinating context to the 20th century’s most evil and destructive tyrant. Since 1990, the British team of Philip Nugus and Jonathan Martin has created popular, critically acclaimed historical documentaries, including Churchill’s Bodyguard and The Century of Warfare. -- 20-page viewer’s guide with highlights, questions to consider, avenues for further learning, Who’s Who among Hitler’s Bodyguard, and a guide to Hitler’s security units.